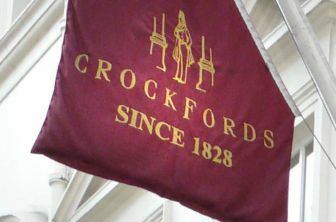 Crockfords Club is the world's oldest private gaming club. 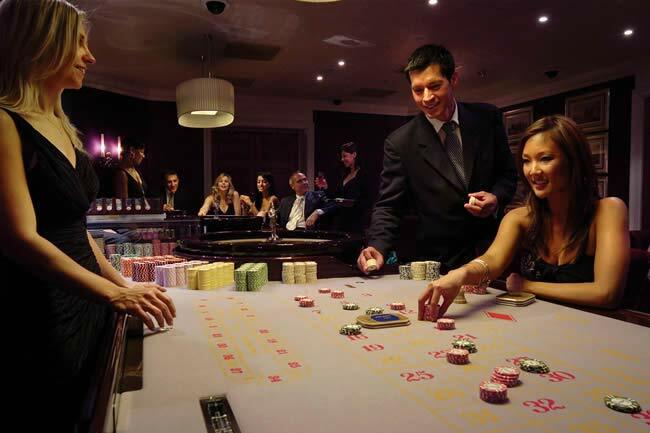 It is one of the most exclusive and elegant casinos in London, with members comprising the crème de la crème of English and international gaming clientele. Set within an 18th Century Grade 1 listed mansion in the heart of Mayfair the club is surrounded by top London hotels. American Roulette, Blackjack, Punto Banco, Three Card Poker and WSOP (World Series of Poker) can be played at the tables and private rooms are also available. A restaurant offers fine wine and cuisine. Crockfords club currently has an "open door policy" however should anyone wish to wager and exceed house threshold limits, formal ID will be required, this also applies if you are under the age of 21 years of age. Crockfords Club is open 24hrs from Monday to Friday and until 6am on Saturday to Sunday although opening 24hrs throughout the week may apply from the 1st of June. Crockfords Club Restaurant is proud to introduce world-class chefs providing a wide range of world cuisines including various signature Italian dishes. The restaurant opens its doors at 7.30pm until 5am. For anyone wishing an early breakfast Continental and English breakfast is available in Crockfords Club’s cocktail bar between the hours of 7am and 11am. Crockfords Club now offer the use of their historic "Ballroom". The ballroom can host up to 150 guests and is ideal if you’re looking to host a private party. If you’re looking to host a private dinner party Crockfords Clubs Gold Room would be an ideal choice accommodating up to 20 people. Crockfords Clubs new multi level gaming facilities with direct lift access gives its patrons access to the smoking terraces, including the penthouse salon which overlooks the London skyline. Crockfords Club provides fully equipped offices, a luxurious business lounge should you need to meet clients and a magnificent boardroom for meetings these facilities are available for hire per hour or by day.